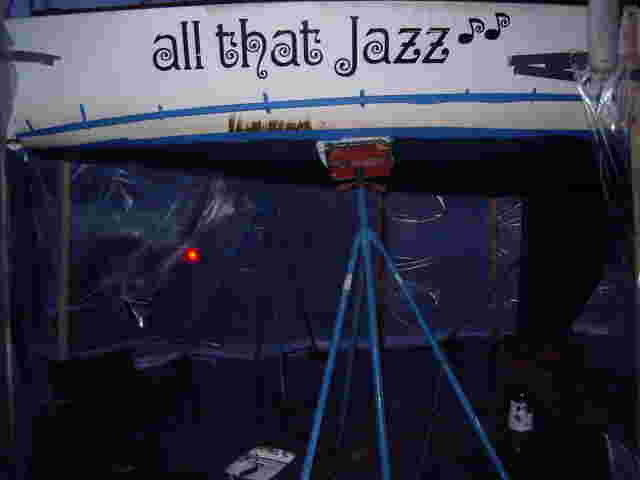 All That Jazz J/ 24 Sail Boat detail, paint bottom, electrical work. 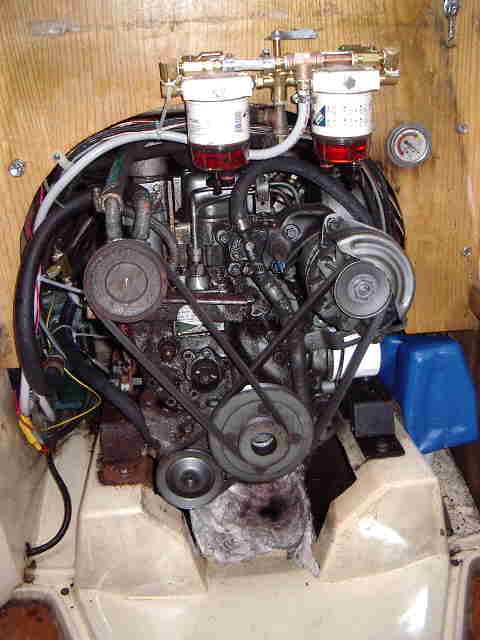 Celebration J/ 30 Sail Led backstay adjuster forward, installed twin Racor fuel filter selectors. 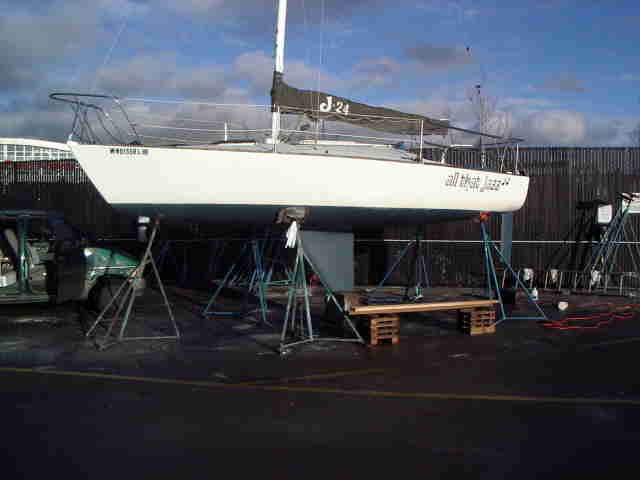 Dutch Treat Ranger 32 Sail Rewired and steam cleaned engine after damage by fire. Heron Beneteau 46 Sail Commissioning, installed radar arch in lazarette. 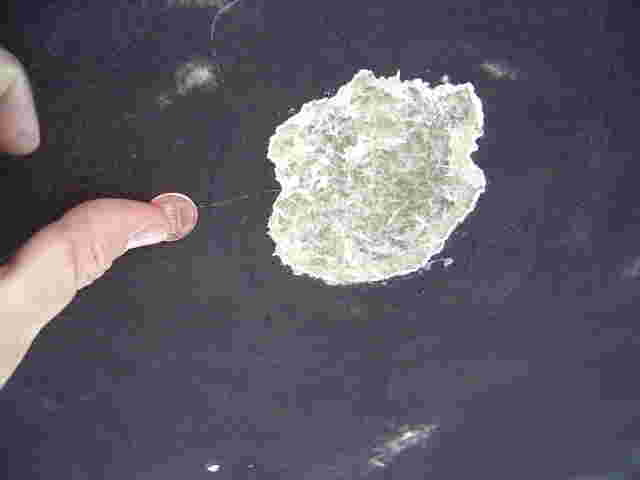 Katrinka Finkelsplat Backyard 28 Sail Reinforced decking where stanchion pulled away. Hauled boat out and vacuum sanded bottom. Relocated chain plates, created new settee and seat tops using Carbon Fiber. 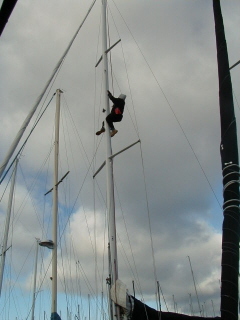 Malolo J/ 40 Sail Performed rig inspection, replaced check stay hardware. Mister T Silverton 36 Power Hauled boat out. Performed blister repair. Installed automatic generator starter & inverter. Installed voltage sensitive relays for engine start batteries. 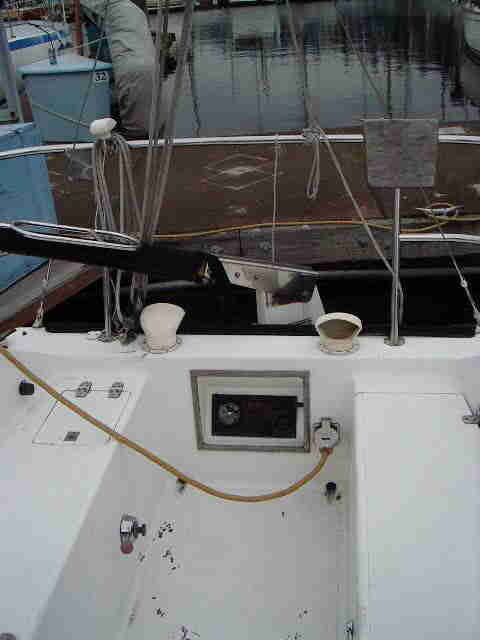 Shoot The Moon Peterson 40 Sail Blister repair on hull, repainted boot stripe, newly faired topsides with non-skid. Tsunami Tollycraft 43 Power Built storage compartment below floorboards. Replaced lazarette foam insulation with silent running, insulating paint. At the haul out at Canal Boat Yard. Lots of algae on the bottom. Difficult to see boot stripe. 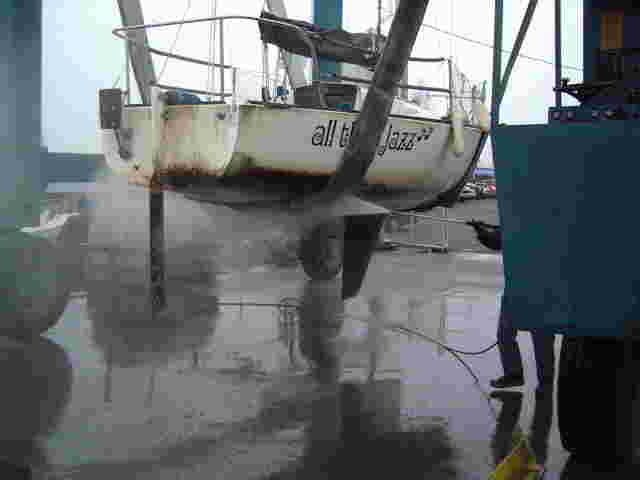 Professional pressure washing the hull, removing many years worth of built up grime, algae and pollutants from the water. We've professionally tented around the boat to contain the dust from sanding the bottom & comply with Government EPA standards. We've re-marked the boot stripe. Finished product - a brand new looking boat! 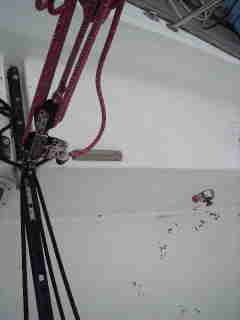 Installed twin Racor fuel filter selectors, led backstay adjuster forward. 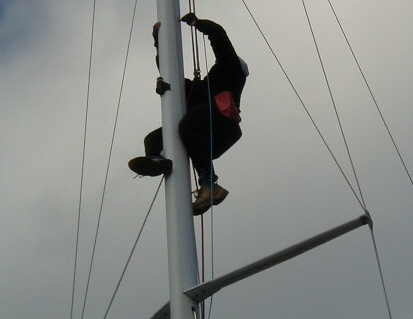 Commissioning, installed radar arch in lazarette. Gives new definition to the term 'Boat Yoga'. Claustrophobic? Not in this business! Reinforced decking where stanchion pulled away. 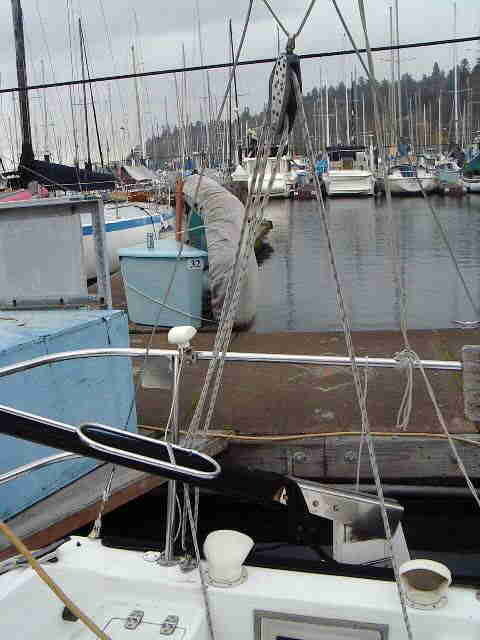 Hauled boat out and vacuum sanded bottom. Relocated chain plates, created new settee and seat tops using Carbon Fiber. 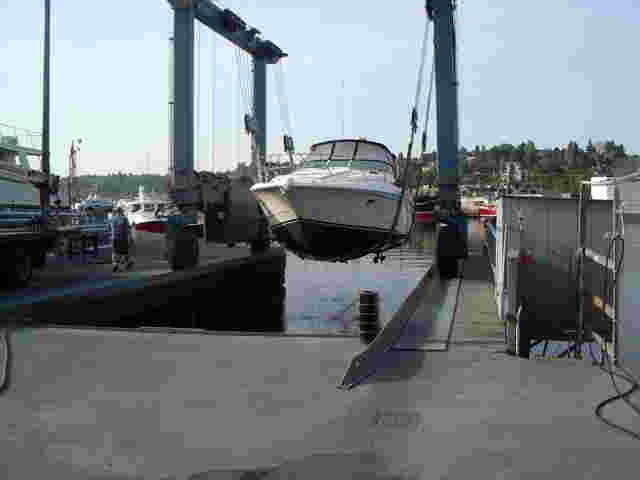 Hauled boat out. Performed blister repair. Installed automatic generator starter & inverter. 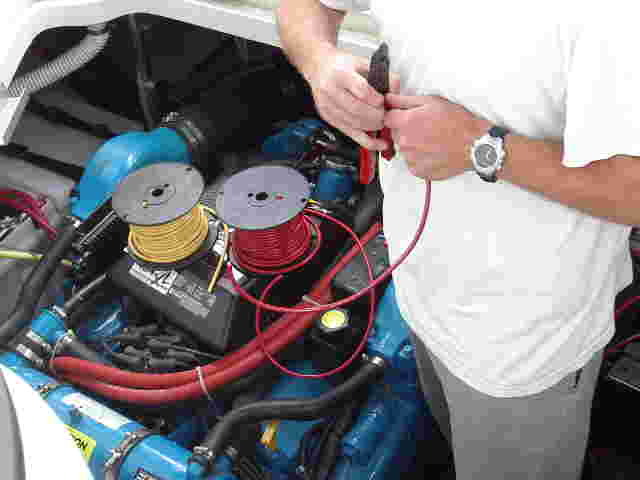 Installed voltage sensitive relays for engine start batteries. Hauling out at Canal Boat Yard. Installed new battery bank, battery monitor, inverter & AGS. 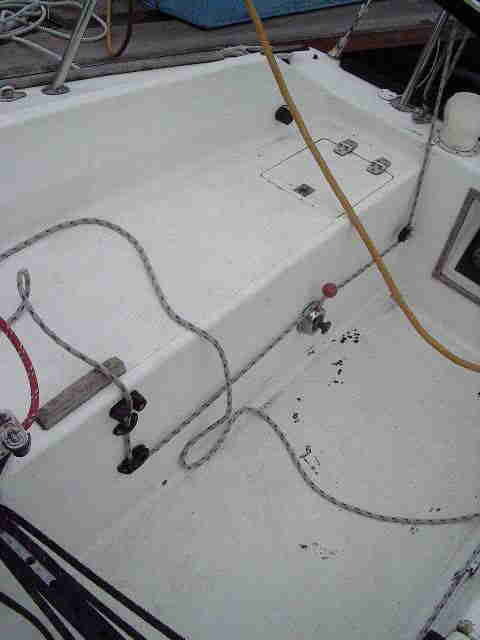 Blister repair on hull, repainted boot stripe, newly faired topsides with non-skid. Built storage compartment below floorboards. Replaced lazarette foam insulation with silent running, insulating paint.